Starting today! Get Twinkle Jewel THEME! SA and A Flight Challenge Campaign is ongoing on TouchLive. 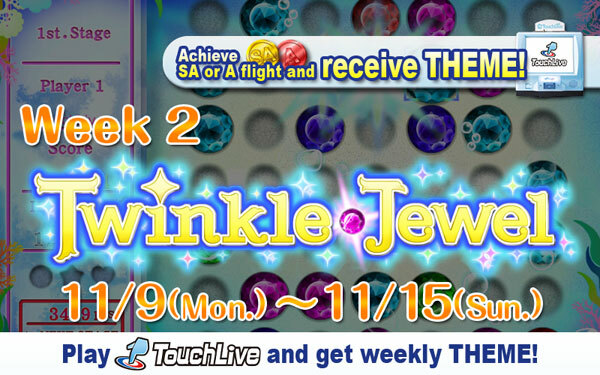 The second week of this campaign of 3 weeks is Twinkle Jewel! Special THEME will be awarded to all players who achieved SA and A flights in Twinkle Jewel! 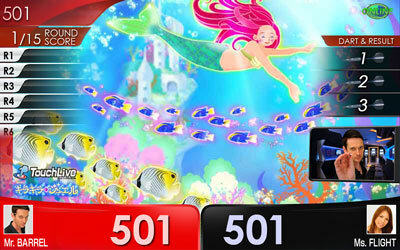 To score high‚ prediction‚ combination and time are critical. Use your full brain power to obtain high score! Why don’t you take the challenge even you have never played this game? *The campaign doesn’t include the games played during any system maintenance of either DARTSLIVE or TouchLive. Please note that THEME may not be awarded properly even outside the maintenance period due to the network condition. *THEMES to be awarded are the same with the ones of “Fruits Commander CHALLENGE”‚ “Twinkle Jewel CHALLENGE” and “DICE IT CHALLENGE”. If you already have the THEME‚ you won’t receive the same one again.